Henley Regatta gets underway on the 28th June; transforming the banks of the Thames into an epicentre of sportsmanship, summer fun and impeccable style. The world's best known regatta and a surefire highlight of the summer social and sporting calendar, Henley is known for its stylish spectators as much as its events and trophies. Dress codes are in place to uphold the flawless sartorial standards so we've rounded up a selection of our finest bags and accessories that are perfectly suited to the occasion. Our perfectly proportioned Small Lottie Bag is the ideal size for carrying all of your regatta essentials, from your purse and sunglasses to all of your make-up must-haves. 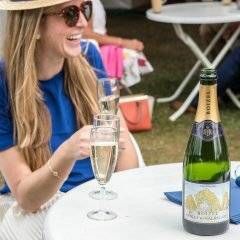 A phone pocket and a zipped compartment will keep all of your valuables safe and the base feet will protect the sumptuous calf leather when you set it down on the grassy banks to enjoy a glass of Champagne. 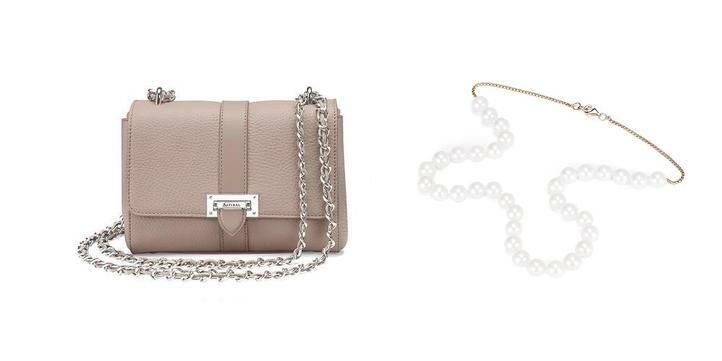 To complement the muted taupe hue, pair your bag with our Sea Shell Pearl Necklaces. Impossibly elegant, the stunning white sea shell pearls exude chic, while the silver chain clasps add a timeless finishing touch, making this piece the perfect accompaniment to any outfit. The prestigious Henley Regatta is steeped in decades of tradition, so tap into the history with a little vintage inspiration. Our Small Dockery is the epitome of vintage chic; styled in the image of the most coveted classic bag and elevated with Aspinal's luxurious twist. Combining practicality with style and a modern flash of colour, it's a stand-out choice for such a big event. 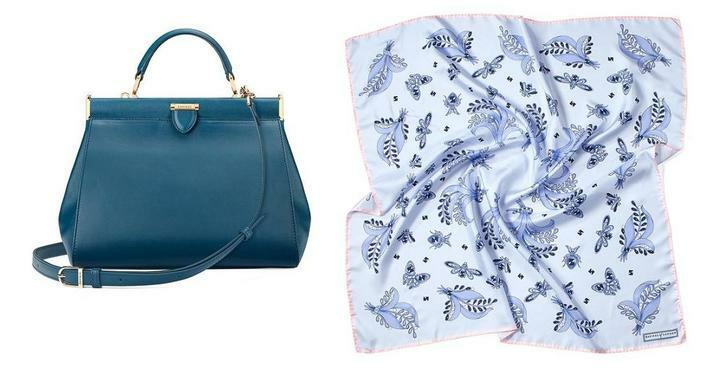 To add some extra flair, turn to our Summer Field Silk Scarf. In tonal blue hues with a hint of pink, the bees, butterflies and grassy blooms will enliven a colour blocked outfit. Knot it to your bag handle, tie it around your hat or echo this season's ladylike nostalgia and style it as a neck scarf. Take your style cues from sun-soaked country gardens and infuse your Henley ensemble with a vibrant spin with a little help from our Large Essential Flat Pouch. This sleek pouch is handmade from the finest raspberry print Italian calf leather, lined with grosgrain and finished with a fine quality metal zip. 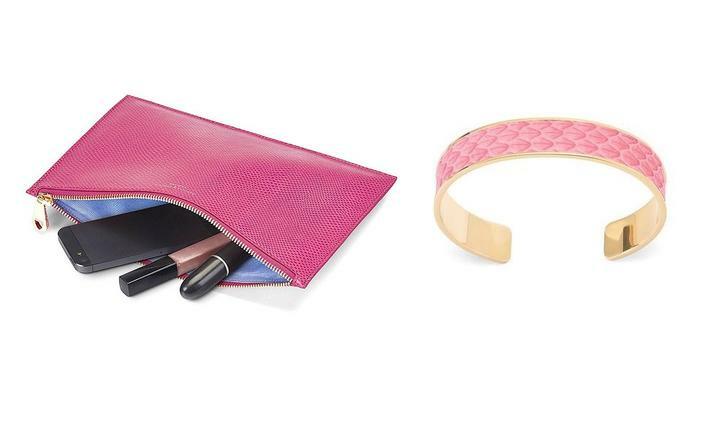 Equally modern and undeniably feminine, our Cleopatra Skinny Cuff Bracelet will pair flawlessly with such a vibrant bag. All that's needed is an eye-catching fascinator to complete the look. Black never looks anything other than elegant. A failsafe shade no matter your colour palette, our Mini Trunk Clutch will work with everything from florals and summer pastels to sleek monochrome. The adorable dimensions are spacious enough to accommodate all of your necessities and the retro suitcase trunk styling will upgrade your outfit instantly; top off your outfit with a Henley-approved boater to further the vintage overtones. 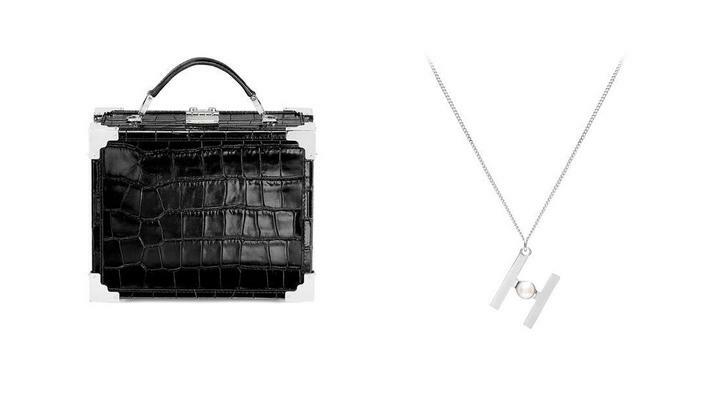 Our Alphabet Pendant Necklace mirrors the silver accent hardware of the mini trunk, providing an elegant, personal finishing touch to your look. Hemlines are expected to be modest but that doesn't mean outfits need to shrink into the background. In fact, eye-catching style is actively encouraged. 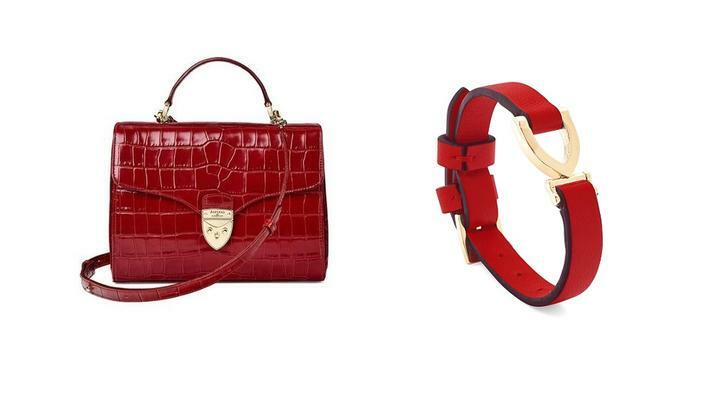 Stand out among the spectators and accessorise with the bold tones of The Mayfair Bag in deep shine red croc. As luxurious as it is striking, the ladylike structure, lavish croc leather and gold hardware rise to the glamour and formality of the occasion. Refine your accessories by echoing the rich red hue with our exquisite Stirrup Bracelet in smooth scarlet. This charming petit bracelet is lovingly hand crafted from the finest red Italian calf leather and secured by an adjustable belt-style buckle fastener. It's the perfect choice.